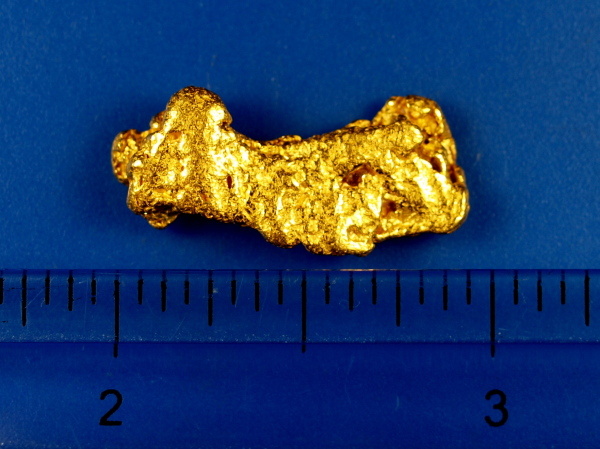 Here is a nice solid gold nugget from Western Australia. 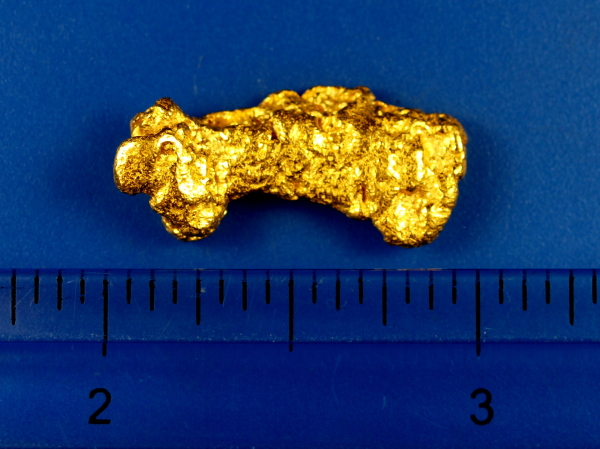 This beautiful piece of gold has an interesting shape and very bright gold. It weighs 8.60 grams.